Description This Atlanta, Georgia hotel has non-smoking guest rooms, an on-site restaurant and free breakfast. A downtown Atlanta boutique hotel offering free Wi-Fi and well-appointed rooms the non-smoking Castleberry Inn And Suites provides great value for a business trip or game night at the Georgia Dome. The four-story Castleberry Inn features a cozy lobby that faces an interior courtyard with wrought-iron furniture and soothing waterfalls. All 130 traditional rooms feature Wi-Fi access flat-panel TVs with premium channels work desks hairdryers and irons with ironing boards. Most rooms are also equipped with microwaves and mini-fridges. 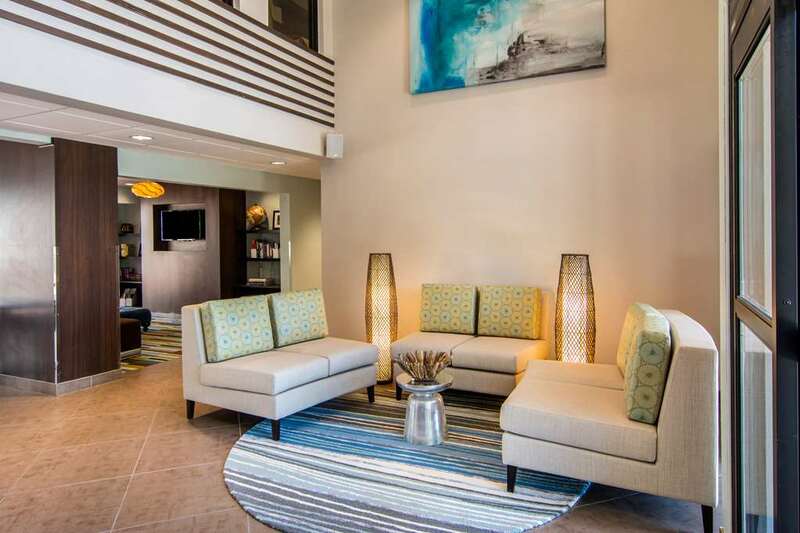 Guests enjoy value-added amenities such as in-room morning coffee and complimentary continental breakfast on weekends. Adjacent to the hotel is the legendary Paschal's Restaurant a bastion of Southern cuisine for more than 65 years. 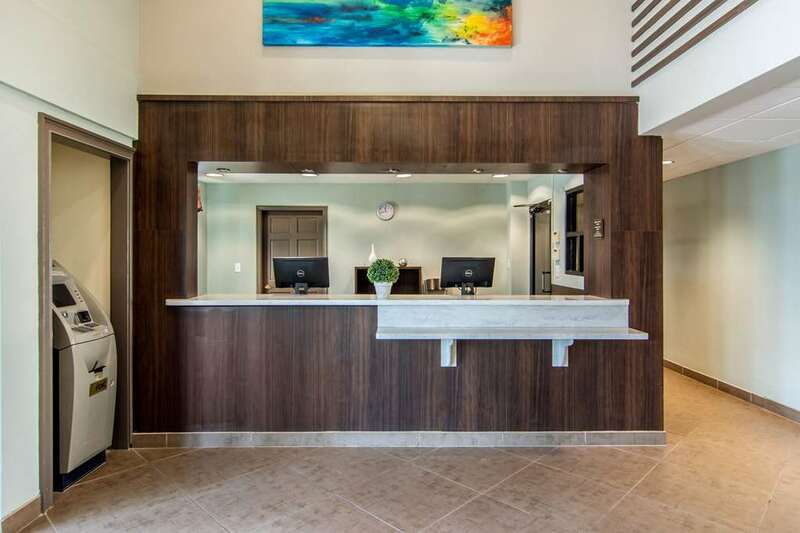 There is also a fitness room a 24-hour guest laundry and an on-site salon and spa for pampering treatments. The Castleberry Inn is in Atlanta's historic Castleberry Hill district home to more than 20 art galleries. 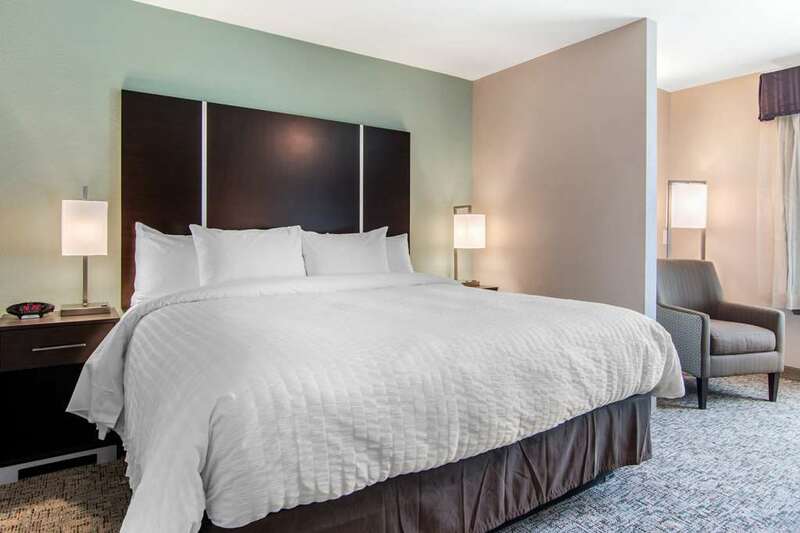 The hotel is four blocks from the Mercedes-Benz Stadium and within walking distance of Georgia World Congress Center. Attractions such as World of Coca-Cola Museum Centennial Olympic Park and Georgia Aquarium are within a five-mile drive. 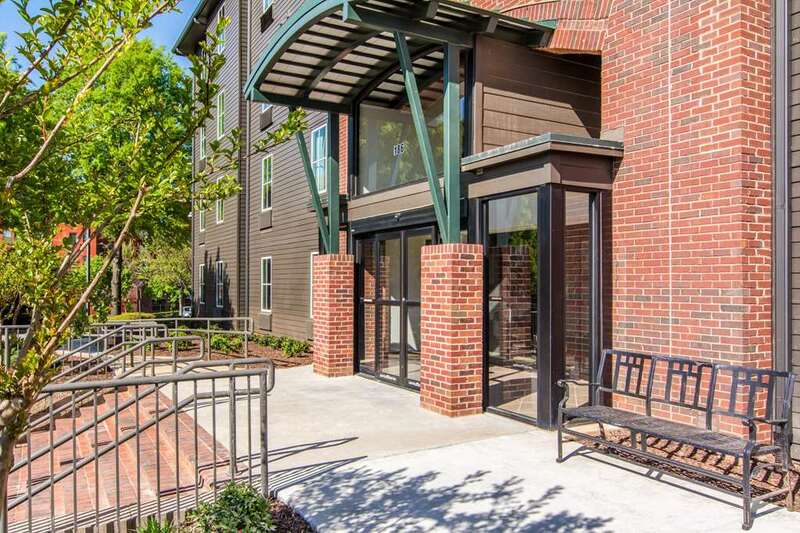 A nearby MARTA public transportation station provides easy access to downtown destinations. 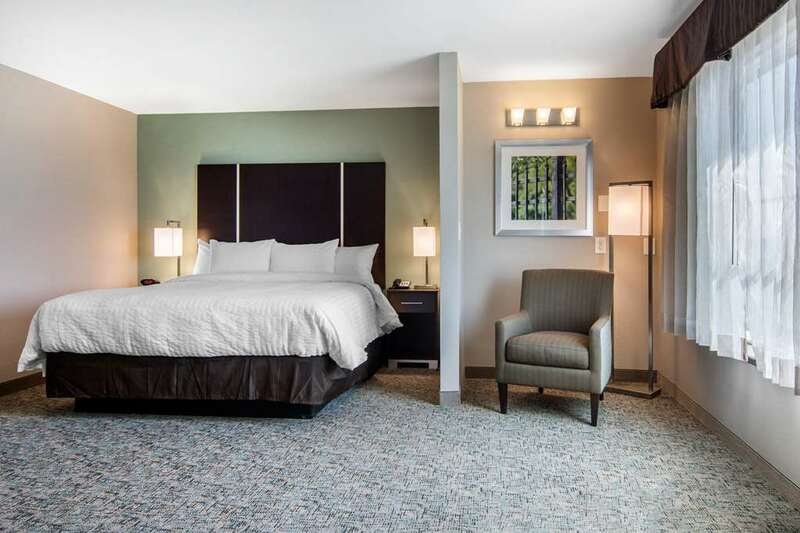 The Castleberry Inn is less than 11 miles from Hartsfield-Jackson Atlanta International Airport. 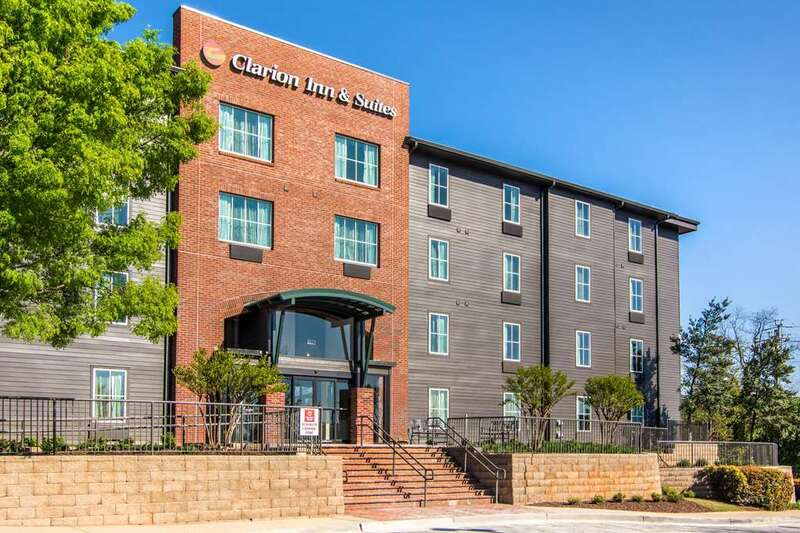 Add Clarion Inn & Suites to your free online travel itinerary.